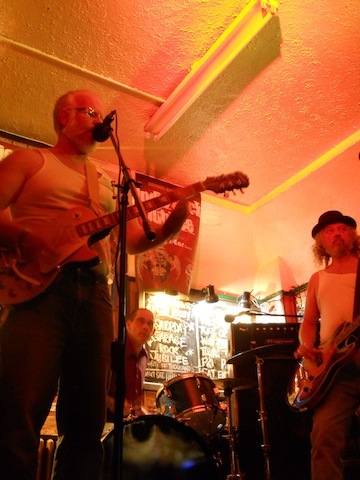 Saturday saw the 5th Annual Garage Rock Jubilee happen at the Pig's Ear Tavern. Thirteen bands took part, each taking 40 minute sets which began at 4 p.m. and went all the way to close. Presented by Bareknuckle Records, the event included sets by the likes of Hundred Year Champions, No Pussyfooting and Bumpin' Tacos. Muddy's Pit BBQ was on hand with tasty food for the rockin' crowd.